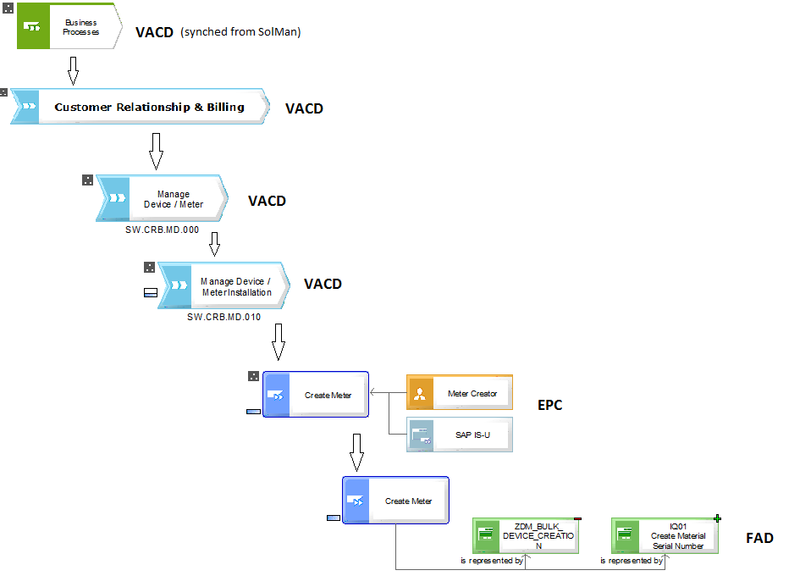 Existing ARIS business process models can be synchronized with SAP Solution Manager by maintaining the synchronization attributes manually. The below diagram provides the list of attributes to be maintained for the corresponding ARIS functions. Tip: It is easy to map the attributes from bottom-up than performing mapping from top to bottom. 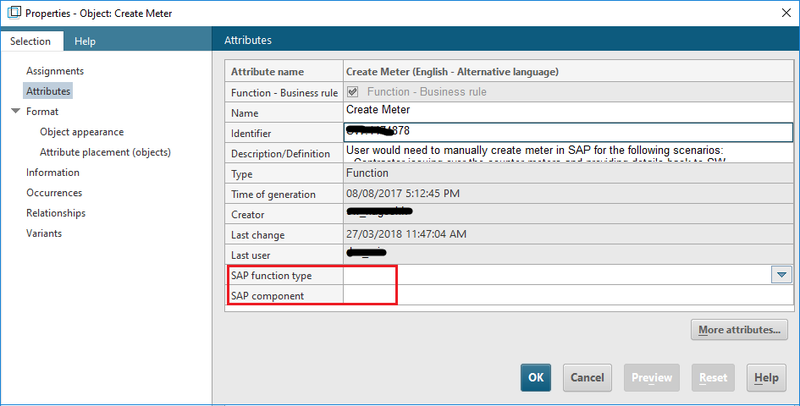 Go to attributes and add the below attributes (if not exists) using more attributes button. 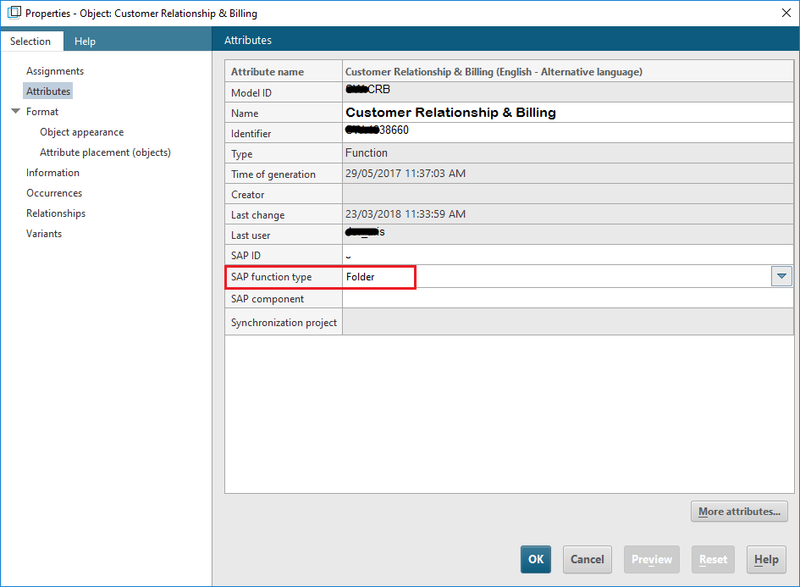 Provide the logical component group name under SAP Component and select the corresponding transaction type. Click on OK after making the above changes. Add the attribute for all the screen components available under the FAD. Note: The SAP component field value should be same as the corresponding logical component group name in SAP Solution Manager. 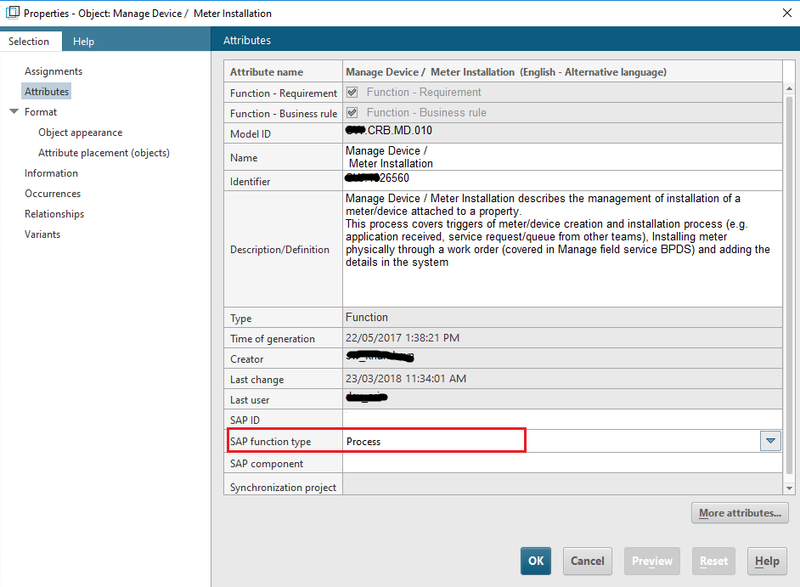 Else the element will not be synched to SAP Solution Manager. Step 6) Open the properties of the model by performing double click outside the objects. 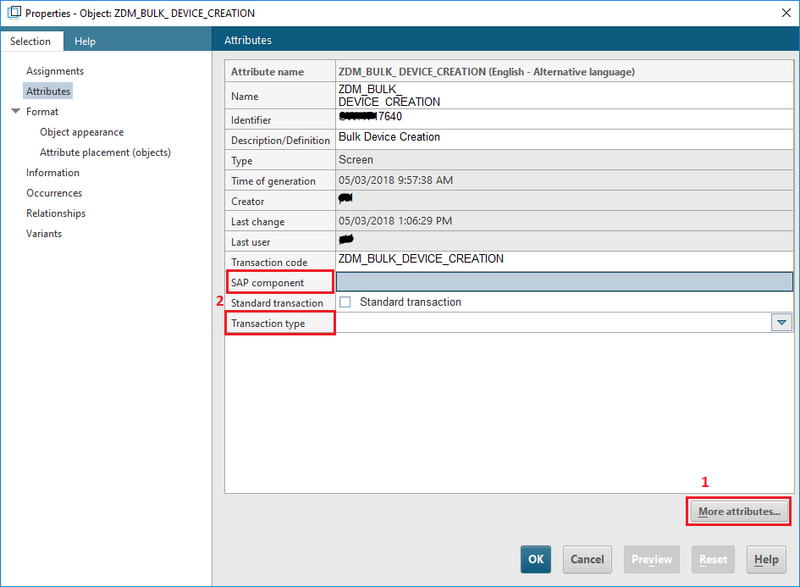 Make the above changes for all the EPC functions which needs to be synchronized. 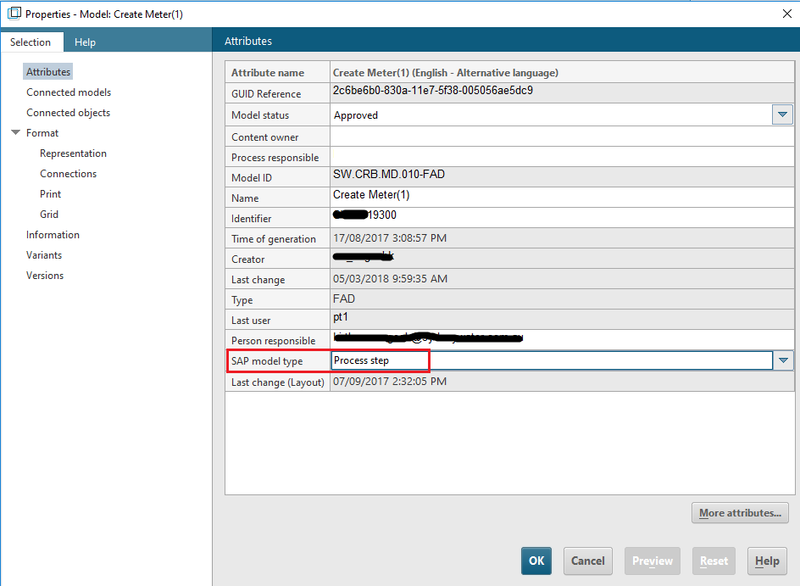 Step 8) Open the properties of the model by performing double click outside the EPC functions. Make the above changes for all the functions which needs to be synchronized. Step 10) Open the properties of the model by performing double click outside the functions. Step 12) Open the properties of the model by performing double click outside the functions. 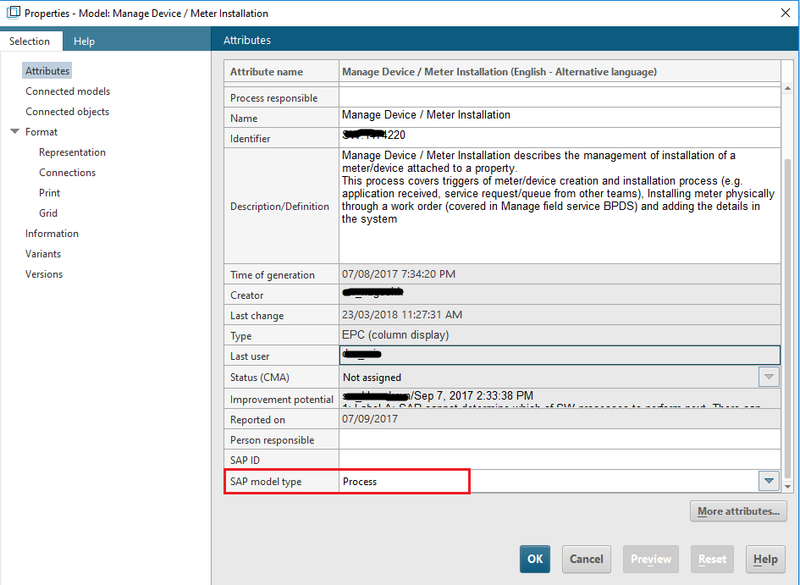 We don’t need to make any more changes in the parent model (Business Process) since it is created during the SolMan sync. 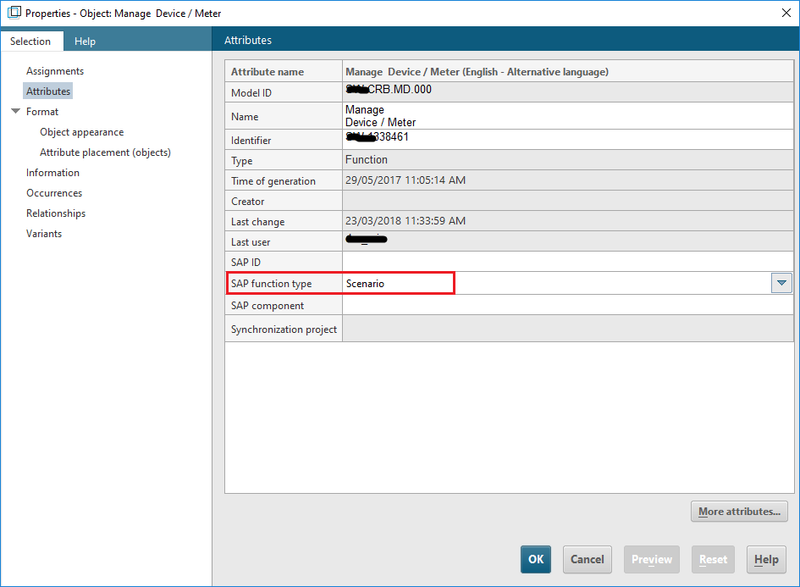 Select data transfer to SAP Solution Manager option and trigger the sync process. 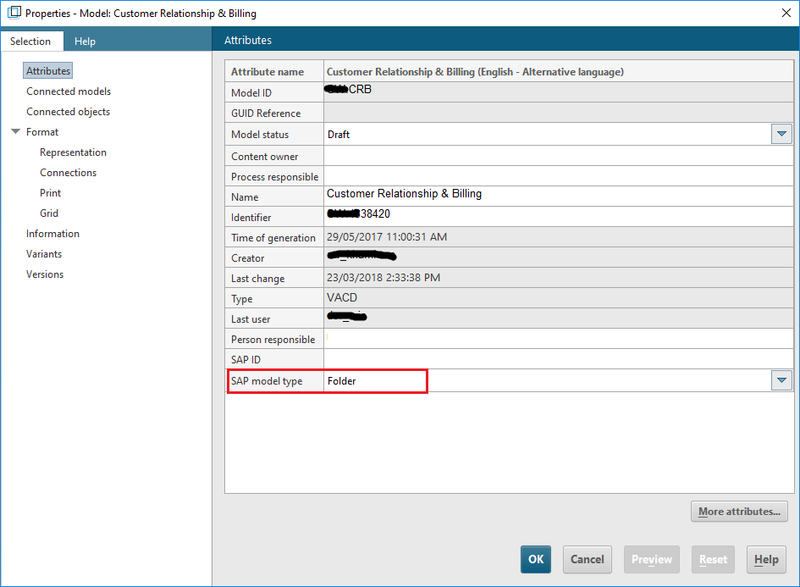 Make sure the checkbox “Include subordinate elements is selected before triggering the sync. 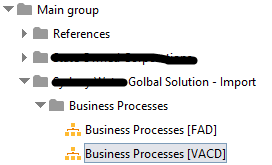 Now you should have the business processes synchronized with SAP Solution Manager. 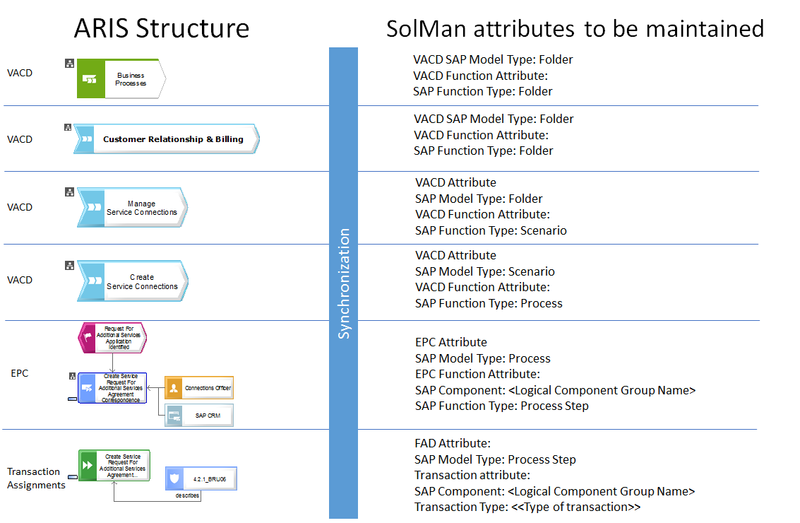 How do you create multiple Folder levels in SolMan? Can you repeat the steps that create a Folder?